We leverage the power of social media networks to connect brands & businesses with their customers. 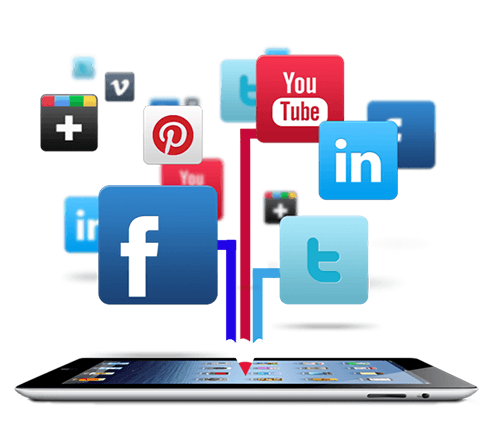 Each social media app is tailor made to best reach its target audience and achieve its business goals. With an obsession over each pixel in the design, we ensure that the users are immersed in an experience that carries the brand’s personality, look and feel. We make the audience part of the conversation around the product or service being promoted, and entice them to contribute in their own way. Sweepstakes are amongst the most popular social media applications due to their simplicity and viral growth potential. They provide an incentive towards audience participation in the form of prizes, and entice them to share the message with their friends in exchange for additional rewards. Perform a simple action (such as spinning a wheel or using a slot machine) and fill out your details in a form (which feeds a back-end database) and you’re in! Games on social media platforms are largely credited for starting the 3rd party apps revolution- and with good reason. They are amongst the most engaging genre of apps to-date. By creating a fun and challenging game that has your brand’s elements integrated into it, you can expect your audience to interact with your brand for extended periods of time. To get a more vivid user experience of interaction with the platform, it is necessary to elaborate a system of integration of existing services. Thus, users do not have to choose between the many services they are already connected to and the new one.